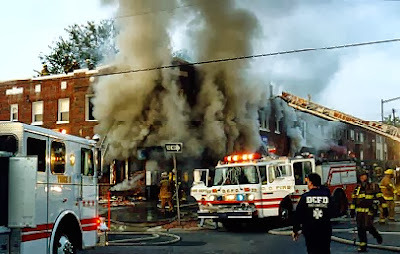 On the early morning hours of October 24th, 1997, box alarm 872 was transmitted for the building on fire at 4th and Kennedy Streets, N.W. in Washington, D.C.’s Fourth Battalion. First arriving units reported a liquor store with smoke showing. 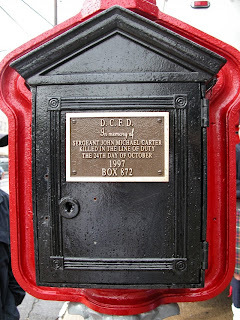 Sergeant John M. Carter of the 1st Battalion was assigned to Engine Company 14 during this incident. While operating on this box alarm, Sergeant Carter unfortunately perished. Although many years have passed, the life and sacrifice of Sergeant Carter is still remembered. Currently Sergeant Carters brother Jim and nephew JJ currently volunteer with the Kensington Volunteer Fire Department. We ask that you keep the Carter family and their friends in your thoughts and prayers.